Spinel Group: Mineral information, data and localities. A non IMA-approved group name, in use in literature before 2018, for cubic oxides of general formula AE2O4. These species were sub-divided into three series: Spinel series (E = Al), Magnetite series (E = Fe), and the Chromite series (E = Cr). Also known as Spinellid or Spinelid. A new classification of the spinel supergroup was approved by IMA in march 2018 (Proposal 17-H). The former spinel group is probably synonym with the new IMA approved Spinel Subgroup. Rinne (1928) Jahrbuch für Mineralogie, Beil.-Bd. : 58: 43. Palache, C., Berman, H., Frondel, C. (1944) The System of Mineralogy of James Dwight Dana and Edward Salisbury Dana Yale University 1837-1892, Volume I: Elements, Sulfides, Sulfosalts, Oxides. John Wiley and Sons, Inc., New York. 7th edition, revised and enlarged: 687-689. Navrotsky, A., Kleppa, O.J. (1967) The thermodynamics of cation distributions in simple spinels. Journal of Inorganic and Nuclear Chemistry: 29: 2701-2714. Hill, R.J., Craig, J.R., and Gibbs, G.V. (1979) Systematics of the spinel structure type. Physics and Chemistry of Minerals: 4: 317-339. Essene, E.J., Peacor, D.R. (1983) Crystal chemistry and petrology of coexisting galaxite and jacobsite and other spinel solutions and solvi. American Mineralogist: 68: 449-455. Grimes, N.W., Thompson, P., Kay, H.F. (1983) New symmetry and structure for spinel. Proceedings of the Royal Society: A386: 333-345. O'Neill, H. St.C., Navrotsky, A. (1983) Simple spinels: crystallographic parameters, cation radii, lattice energies, and cation distribution. American Mineralogist: 68: 181-194. Navrotsky, A. (1986) Cation-distribution energetics and heats of mixing in MgFe2O4-MgAl2O4, ZnFe2O4-ZnAl2O4, and NiAl2O4-ZnAl2O4 spinels: study by high-temperature calorimetry. American Mineralogist: 71: 1160-1169. Princivalle, F., Della Giusta, A., Carbonin, S. (1989) Comparative crystal chemistry of spinels from some suites of ultramafic rocks. Mineralogy and Petrology: 40: 117-126. O'Neill, H.St.C., Dollase, W.A. (1994) Crystal structures and cation distribution in simple spinels from powder XRD structural refinements: MgCr2O4, ZnCr2O4, Fe3O4, and the temperature dependence of the cation distribution in ZnAl2O4. Physics and Chemistry of Minerals: 20: 541-555. Hazen, R.M., Yang, H. (1999) effects of cation substitution and order-disorder on P-V-T equations of state of cubic spinels. American Mineralogist: 84: 1956-1960. Lavrentiev, M.Y., Purton, J.A., Allan, N.L. (2003) Ordering in spinels - a Monte Carlo study. American Mineralogist: 88: 1522-1531. Papike, J.J., Karner, J.M., Shearer, C.K. (2005) Comparative planetary mineralogy: Valence-state partitioning of Cr, Fe, Ti and V among crystallographic sites in olivine, pyroxene, and spinel from planetary basalts. American Mineralogist: 90: 277-290. Bosi, F. (2019): Chemical and structural variability in cubic spinel oxides. Acta Crystallographica B75, 279-285. [Xieite] Chen, M., Shu, J., Xie, X., Mao, H. (2003): Natural CaTi2O4-structured FeCr2O4 polymorph in the Suizhou meteorite and its significance in mantle mineralogy. Geochimica et Cosmochimica Acta, 67, 3937-3942; IMA website; Chen, M., Shu, J., & Mao, H. K. (2008). 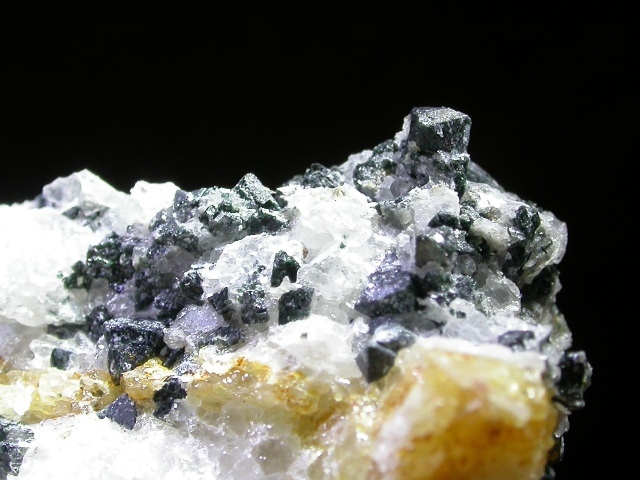 Xieite, a new mineral of high-pressure FeCr2O4 polymorph. Chinese Science Bulletin, 53(21), 3341-3345.; Chen, M., & Xie, X. (2015). 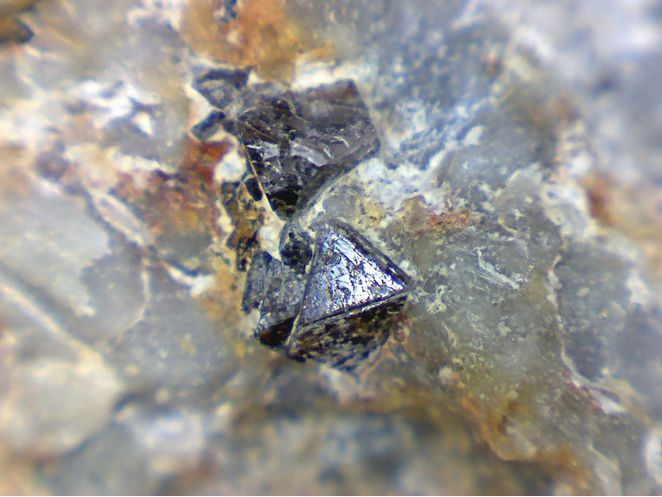 Shock-produced akimotoite in the Suizhou L6 chondrite. Science China Earth Sciences, 58(6), 876-880. Klomínský J. et al. : Fosilní zlatonosné rozsypy v karbonu u Křivců (západní Čechy). Časopis pro mineralogii a geologii, 1979, 24, 3, 291-300. Žáček V., Skála R., Chlupáčová M., Dvořák Z. (2005): Ca-Fe3+-rich, Si-undersaturated buchite from Želénky, northern Bohemian Brown Coal Basin, Czech Republic. European Journal of Mineralogy 17, 623-633. Schmädicke, E., and Evans, B.W. (1997): Contributions to Mineralogy and Petrology 127, 57-74. Schüller, A. (1953): Contributions to Mineralogy and Petrology 3(6), 472-494. Ashworth, J.R. (1981) Fine Structure in-group chondrites: Proceedings of the Royal Society of London. A374 (1757): 179-194. (Feb 1981). 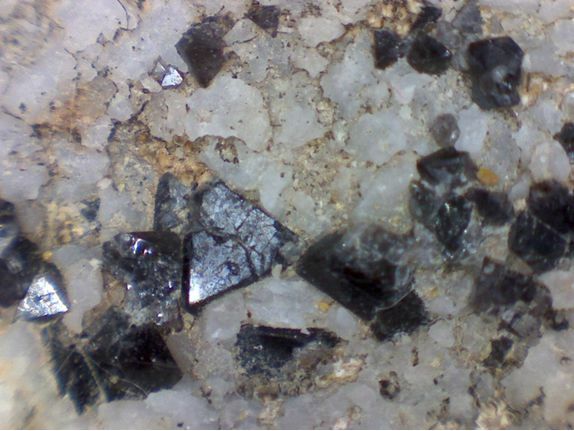 Puziewicz, J., Zainoun, K. and Bril, H. (2007): Primary phases in pyrometallurgical slags from a zinc-smelting waste dump, Świętochłowice, Upper Silesia, Poland. Can. Mineral. 45, 1189-1200.; Tyszka, R., Pietranik, A., Kierczak, J., Zieliński, G., & Darling, J. (2018). Cadmium distribution in Pb-Zn slags from Upper Silesia, Poland: Implications for cadmium mobility from slag phases to the environment. Journal of Geochemical Exploration, 186, 215-224. Müller, H. D. & Jahn, S. (2006): Kolonne bei Embilipitiya auf Sri Lanka-eine interessante Fundstelle für Olivin, Hornblende und Spinelle. Mineralien Welt 17 (4): 44-51.